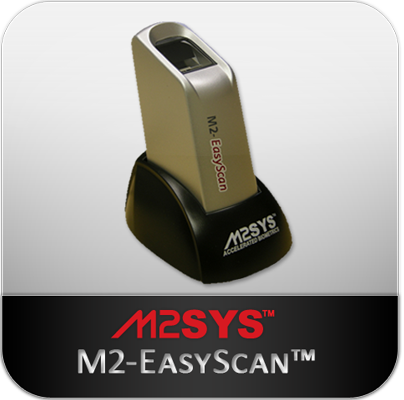 M2-EasyScan™ is our most affordable biometric fingerprint scanner. The device is built with an optical hardware device with a high quality fingerprint recognition sensor and USB compatibility for any version of Windows. It is a rugged, ergonomic fingerprint reader that ensures consistent image quality and accurate results — even in high throughput environments. © 2002 – 2019 M2SYS Technology. All rights reserved. │1050 Crown Pointe Pkwy│Suite 850│Atlanta, GA 30338 USA.